Doosri Aurat Novel Authored by Rajni Patel. This novel contains a collection of 11 social romantic Afsane (short fiction stories) in Urdu language. 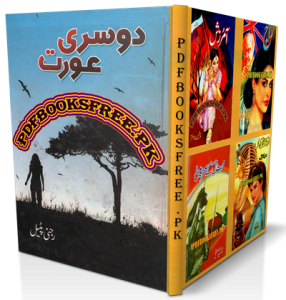 Urdu Afsane “Doosri Aurat” is now available on Pakistan virtual library in high quality Pdf documents. Check out the following links to read online or download the complete novel in Pdf format to enjoy offline reading. آ پ کا بہت شکریہ جناب آپ نے یہ بہت اچھا کام کیا ہے.